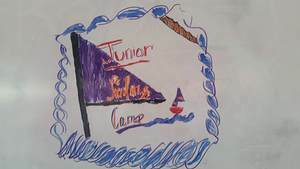 Alum Creek Sailing Association is proud to offer a Junior Learn to Sail Camp for students age 8 and up. The camp is dedicated to safety in its pursuits to introduce sailing to new sailors. 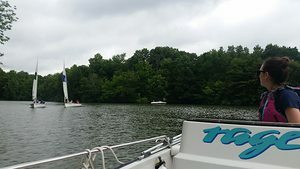 Packed with fun filled days in learning a new skill, sailing lessons are a great alternative to summer day camps. The benefits of this course can last a lifetime! Sailing is a sport for all ages, it strengthens participant's body and mind, while working closely with a team! The camp is one week long, Monday through Friday, 9am until 4pm. This camp is offered though multiple sessions, dates as following. Each week costs $190.00 per student. If a session does not meet the required number of students to run, participants may be asked to reschedule and take the camp during a different session. Each day will include a variety of sailing instruction including engaging on shore lessons in the Club Pavilion, games, on the water activities. The camp will operate rain or shine, if weather does not permit safe sailing, lessons and learning activities will proceed in the Pavilion. Students are expected to come prepared with a properly fitting life jacket, water shoes, a water bottle, sunscreen, a packed lunch, and an attitude ready for adventure!